4th Nights are Free at the Tide Pools in Lincoln City This April! As the warm weather ramps up, spring vacationers now have an opportunity to stay a fourth night free in one of the best beach vacation rentals Oregon has to offer. Guests of the Tide Pools in Lincoln City who stay three nights will get their fourth night free from now until the 1st of May. 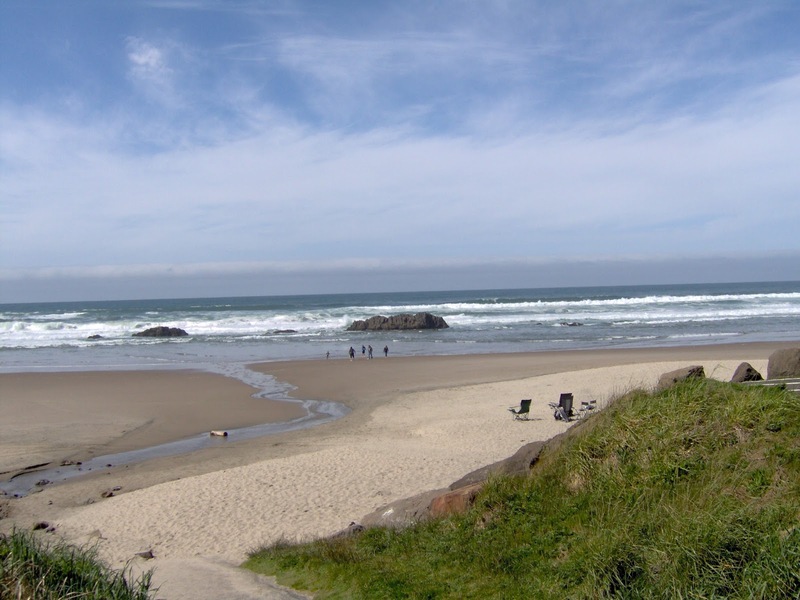 When it comes to beach home rentals Lincoln City has no shortage of elegant and comfortable options, but few will give you and your group the same sweeping views of the oceanfront all the way to Cascade Head. Keep reading to learn more about this holiday rental and your springtime vacation possibilities in Lincoln City! Stay 3 nights get 4th night free! April 8th – May 1st at Tide Pools located in Lincoln City Oregon. Vacation rental townhouse. Sleeps 5, 3 bedrooms, 3.5 bathrooms. No pets allowed. 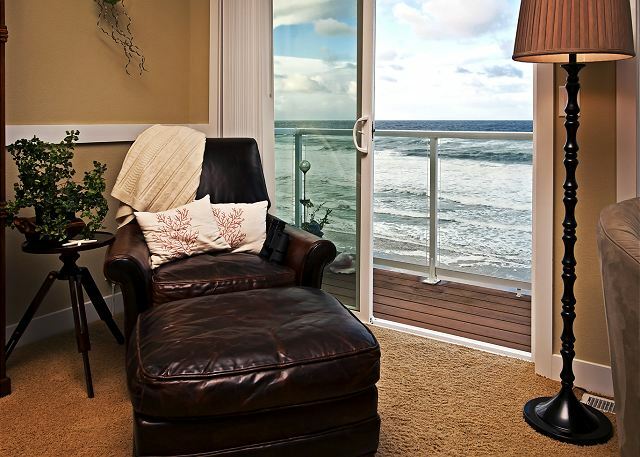 From expansive beach houses to condo rentals Lincoln City has accommodations to suit all kinds of travelers, no matter how large the group or intimate the occasion. The Tide Pools is a particularly suitable option for groups of 3-5 people. This townhouse sleeps five in three bedrooms with premium mattresses and bedding, and offers 3.5 bathrooms with 3 showers to accommodate everyone’s needs. The rental also offers a retro kitchen with ocean views, slab granite counters, a glass top stove, stainless steel appliances, and fine cookware and utensils. As far as your entertainment needs go, comfortable seating and a gas fireplace will help everyone enjoy the new flat screen TVs, DVD/CD player, Wi-Fi, selection of books, and board games. You and your group will also appreciate added conveniences such as a carport, hair dryer, ironing board, washer/dryer, coffee maker, blender, microwave, panini maker, waffle iron, and fresh linens. Most visitors agree, though, that the most striking aspect of this Oregon beach rental is the view. You can see all the way to Cascade Head, and on a clear day you can spot Taft and Siletz Bay to the south. Whether you’re sitting in the living room, preparing a meal in the kitchen, embarking on a walk down one of the adjoining hiking trails, or enjoying some sightseeing from the deck and patio, you’ll see nothing but water and sky ahead. If you’ve heard of Lincoln City then you probably know some of its well-known charms. From the glass floats on the beach to the local seafood to the stunning 7-mile stretch of coastline, this seaside town along the Central Oregon Coast has earned its reputation as a vacation destination. Whether you’re drawn to the nearby casino, whale watching expeditions, beachcombing, or any of the city’s other main attractions, there are probably some aspects of Lincoln City that you might not have expected. Lincoln City has one of Oregon’s best outlet malls, for example. It’s also rich in culture, with a historic theatre, museums, live performances, local historic society, culinary center, and glass-blowing studio. Families with children also enjoy the aquatic/fitness center, playground, library, and nearby Newport Aquarium. If this sounds like a destination made for your upcoming spring getaway, do not delay in booking! This is truly one of the best beach vacation rentals Oregon has to offer and is bound to fill up before the month is over. Visit the Beach at Lincoln City This Summer!